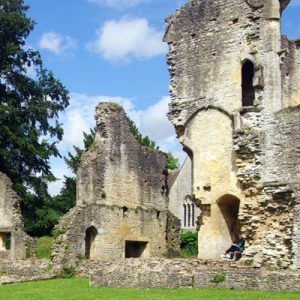 Through our sister organisation, Cotswold Exploring, we operate a schedule of tours from Oxford to the Cotswolds, taking small groups in our comfortable Mercedes 12-seater minibus. Soft drinks offered from our coolbox are included in the price, and our tours are delivered by an expert group of Blue Badge Tour guides and, as well as in English, can also be delivered in many foreign languages, including French, Spanish, Portuguese, German, Italian, Japanese and Mandarin. 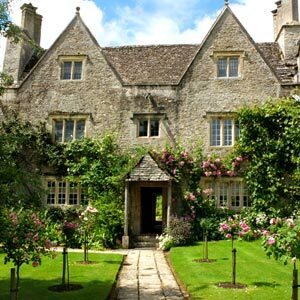 Our knowledge and expertise in this area of outstanding national beauty will bring the Cotswolds to life. 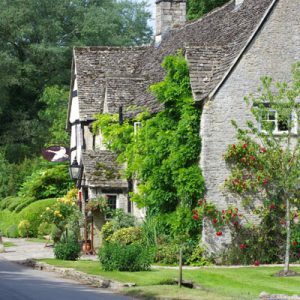 Discover the quaint villages with thatched cottages built from Cotswold stone, small streams and village greens. Learn the history of this fascinating area, passing by Roman remains and medieval castles. 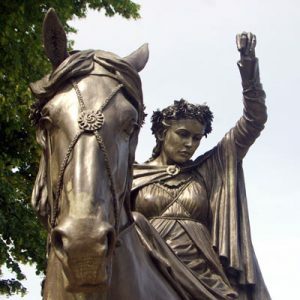 Let us entertain you with stories of Cotswold folklore and the famous people who have lived there – all the writers, artists, actors and entrepreneurs who, over the centuries have been inspired by the Cotswolds. Prices and descriptions shown below are for guidance only. The exact timing and route for each tour may vary through the year, to make allowances for shorter daylight hours in the winter and potential tourist hot-spots at the height of summer. For details of the current itinerary, and for further information or to make a booking, please visit our Cotswold Exploring Website. This town is the site of Blenheim Palace, one of the most imposing houses in the country, home to the Dukes of Marlborough and birthplace of Sir Winston Churchill. He is buried in the churchyard of nearby Bladon. Please visit our Cotswold Exploring Website for further details of this tour and the current route. There is time for shopping before our return to Oxford, passing through the old market town of Northleach, with its impressive Cotswold Perpendicular-style church. Please visit our Cotswold Exploring Website for further details of this tour and the current route. 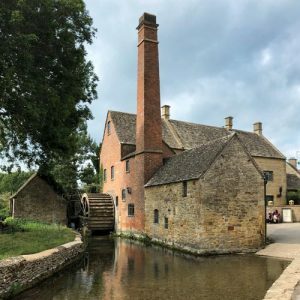 This half-day tour is ideal for those who would love to see some of the Cotswold villages, but cannot spare a whole day, and begins by following a similar route to our Explorer Tour, visiting Minster Lovell and the delightful villages of Asthall and Swinbrook en route to Burford. 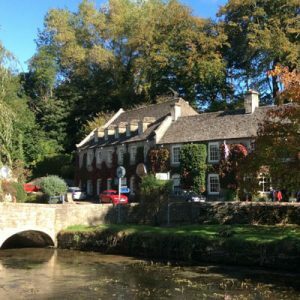 Continuing westwards, we visit Taynton and the Barringtons until we arrive in Bourton-on-the-Water, with its graceful arched bridges over the River Windrush. We return to Oxford via the charming village of Cornwell, with our final stop in Woodstock, site of Blenheim Palace and home to the Dukes of Marlborough. Please visit our Cotswold Exploring Website for further details of this tour and the current route. 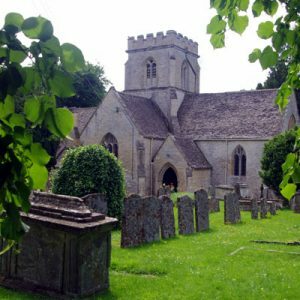 The ‘Cotswold Rover’ sets off with a drive from Oxford to Bampton, one of the oldest villages in England with its quaint square and Norman church. 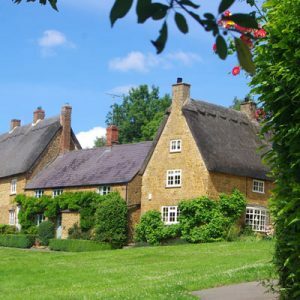 Downton Abbey fans may recognise Bampton as being the location for the village scenes in the popular period drama. Buildings to look out for include the Old Rectory (Churchgate House), the library and several houses in Church View, including two that were adapted to look like pubs. Continuing through Kelmscott, the home of the Arts & Crafts founder William Morris, the tour reaches Lechlade on the River Thames. From there, we head for the old coaching town of Fairford, with its impressive ‘wool church’ of St Mary’s, complete with some of the finest medieval stained glass in the country. 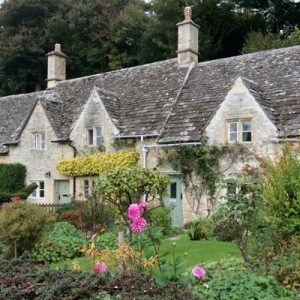 We then follow a scenic route to the picturesque village of Bibury, with its mellow-stoned cottages, rippling river and trout farm. Heading up the Coln Valley, we pass through pretty stone hamlets, hidden valleys and remarkable scenery, before arriving in the historic town of Northleach, with its imposing perpendicular church tower. 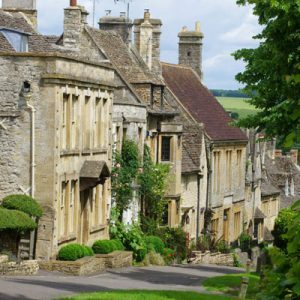 We then head back east and visit the busy town of Burford with its quirky shops and cafés perched on the steep side of the Windrush valley, before returning to Oxford through the charming villages of Asthall and Swinbrook. Please visit our Cotswold Exploring Website for further details of this tour and the current route. 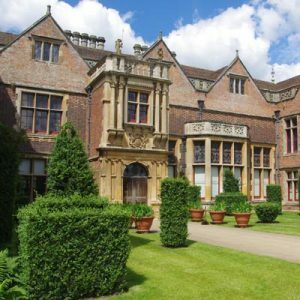 This Wednesday tour is a feature of our Spring/Summer Programme, which runs from 1st April through to the end of October. 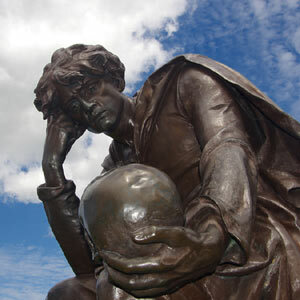 Please visit our Cotswold Exploring Website for further details of this tour. Please visit our Cotswold Exploring Website for further details, or send us a message via the Contact Page on our companion website with your requirements and we will be happy to give you a quote. 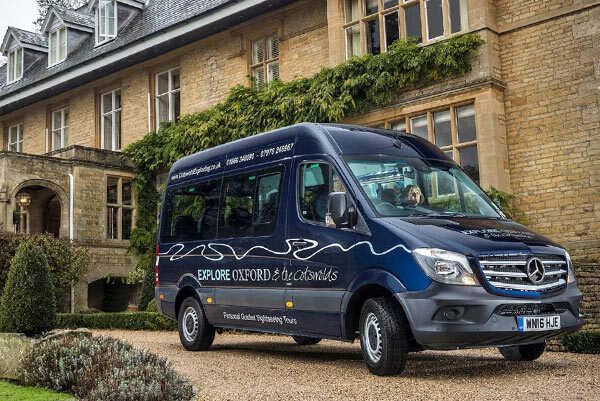 Our minibus can seat up to 12 people, so if you have a group and would like to organise your own private tour of the Cotswolds, we will be happy to provide you with a quote for this. We can also provide guides for larger coach parties with their own coaches.